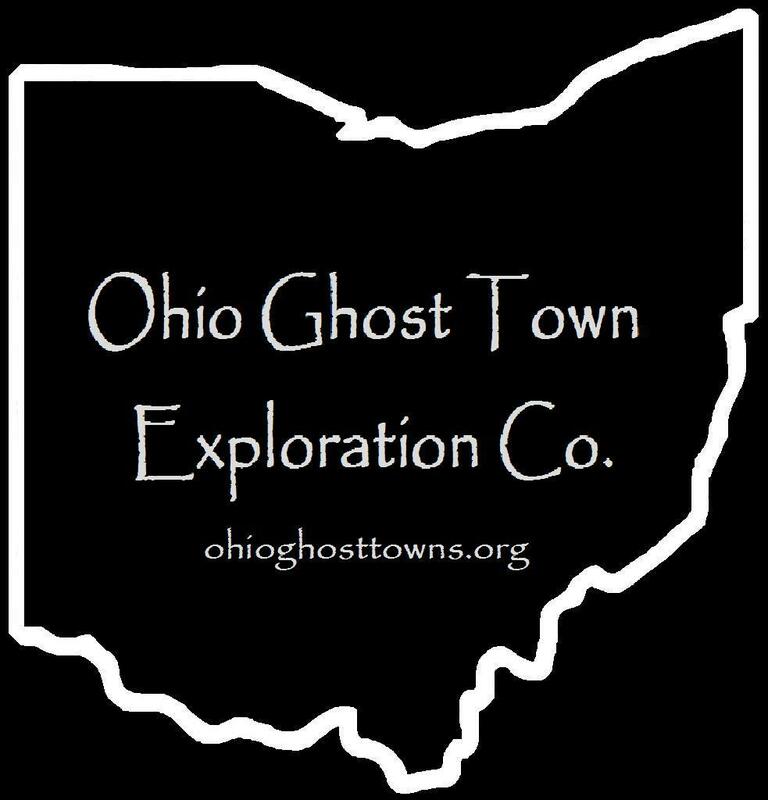 Guernsey County – Ohio Ghost Town Exploration Co. Description: The town was founded by a branch of the massive Bond family in the area who were mostly farmers & livestock dealers. Joshua Bond (1788 – 1872) & Abigail (Murray) Bond (1790 – 1867) moved to Ohio from Maryland & had several children. They were buried with many relatives in McCoy Cemetery. Joshua’s brothers Charles Bond (1794 – 1875) & Larkin Bond (1791 – 1870) also settled in the area & had big families. They were buried with relatives in Bond Cemetery. Description: Bridgewater was platted in 1834 by William Orr (1806 – 1860) & Elizabeth (Byers) Orr (1810 – 1889) who had several children & a nice farm. The Orrs moved to Illinois in the mid 1800s but Bridgewater kept going with a school & small merchant shops into the early 1900s. Description: It was founded by a branch of the Cable family in the county & was listed in the 1853 W.W. Reilly & Co.’s Ohio State Business Directory. Description: The town had a school, grocery store, doctor, & a grist & saw mill built by the Armstrong family. John Armstrong & Susannah (Henderson) Armstrong (1788 – 1870) moved to Ohio from Pennsylvania in 1813 & became pioneers of the county. Their children & grandchildren continued with farming & milling in the area. Much of Clio’s land was submerged by Salt Fork Lake. What remained dry on the east side is now woods & a campsite. The Armstrongs were buried with relatives in Pleasant Hill Cemetery on the west side of the lake. Description: Divide was listed on the Ohio map in the 1901 Cram Atlas. Description: Eldon was a variant name of Spencers Station which is still considered a populated area for census purposes. It had a train station on the B & O Railroad, school, general store, row of houses, the Eldon Coal Company, a coal tipple, & a Quaker church. Residents were buried in Eldon & Richland Cemeteries. Description: This native fishing town was run by a Native American chief named Doughty who lived in the area with his family in the late 1700s to early 1800s. Wills Creek was great for basket fishing & produced enough to support a decent sized village. Description: The first town in the county, it was platted in 1805 by Joseph Smith 23 days before Old Washington & was a stopping point for tired travelers. Frankfort had a tavern, public square, a proposed courthouse & jail lot, & around a dozen cabins in its heyday. Joseph sold his lot & moved with his family in 1814. The town was considered vacated & stricken from future recordings by court order in 1846. A man named Cummings who ventured through the area on foot in 1870 noted Frankfort’s continued existence in a diary & stated 8 – 10 cabins remained. Description: The proprietor Robert Miller (1822 – 1877) was born in Canada & moved to Ohio with his parents who were of Irish descent. Robert was a farmer & built a saw mill along the Salt Fork of Wills Creek. The town also had a wagon shop, school, & salt works. Robert was buried with relatives in Old Kimbolton Cemetery in Kimbolton at the intersection of SR 541 & Cemetery St. Description: It was platted in 1815 by Richard Dickinson & appeared in the Ohio Gazetteer And Traveler’s Guide from 1837 – 1841. Description: The town can be found in the 1888 Bridgman’s Atlas & 1901 Cram Atlas. Description: It was founded by Elza Scott (1819 – 1880) & Mary (Moore) Scott (1825 – 1895) who owned a coal company & salt works along the B & O Railroad. They were buried with relatives in Cambridge City Cemetery on S 11th St in Cambridge. Description: Skullfork had a school & was listed in the 1888 Bridgman’s Atlas & 1901 Cram Atlas. Description: The McCleary family built a grist mill & saw mill along Sugar Tree Fork. The town also had a general store & school. Benjamin Kennedy (1814 – 1882) & Margaret (Orr) Kennedy (1818 – 1876) were the original owners of the Salt Fork Stone House which was completed around 1840 & has more info on a website, ksh.org. They were buried with relatives in Irish Ridge Cemetery at the intersection of Clary Rd & Broadhead Rd in Monroe Township. Some of the former town land is under Salt Fork Lake. Description: It was a small mining boom town on the Pennsylvania Railroad & named after the Toledo Coal Company that was along the tracks. The area around Salesville was settled in 1806 with more families arriving over the next few decades. Most of them were Quakers, Methodists, & Protestants from the colonial states & North Carolina. A log meeting house, called the temple, was built by the Methodists in 1816 near Leatherwood Creek. The Protestants (United Brethren) held camp meetings in the early days with no fixed location gather at. In 1828 at Miller’s Methodist Chapel, which was near present day Leatherwood Cemetery, a man who went by the name Joseph C. Dylkes showed up & interrupted the service. He announced that he was a messiah sent from the heavens. In the following weeks after the service, Dykles continued to attend the various religious meetings at all of the congregations around Salesville & visited many homes of the most influential local residents. Despite his outlandish claims of having almighty powers & being immortal, Dylkes actually gained the following & trust of lots of people in town. It created havoc for Salesville, & even led to violence on a few occasions, as friends & families were so quickly & deeply divided in their personal beliefs. Drawing followers from all over the area, Dylkes had control of the Leatherwood temple for a while. A bunch of townspeople that were fed up with Dylkes eventually formed a mob & arrested him. Dylkes was never charged or formerly put on trial though. According to the judge, it wasn’t a crime against their judicial system to be or claim to be a god. An angry mob formed outside the courthouse & chased Dylkes out of town pretty much running for his life. After hiding out for a few weeks & evading capture by people still on the lookout for him, Dylkes showed back up in Salesville & had a few secretive meetings with his followers. He convinced them that he was going to build a utopia community called “New Jerusalem” near Philadelphia. Dylkes, Reverend Samuel Davis, Michael Brill, & Robert McCormick took off east on foot. When they got to a fork in the road just a few miles from Philadelphia, Dylkes had them split up & said they would “meet back up in the big light”. Dylkes & Davis went one way & Brill & McCormick the other, never finding the big light or seeing Dylkes & Davis again. Brill & McCormick were moneyless & far from home. They walked to Baltimore, got some of their funds from home sent there, & took a stagecoach back to Salesville. Davis showed back up in town 7 years later claiming he saw Dylkes “ascend into the heavens”. Davis left the next day & didn’t return to Salesville after that. He may have gone to his grave being the only person that ever knew the rest of Dylkes’s story. The man who once caused a relatively unparalleled commotion, the likes of which has never happened in any other Ohio town in history, Joseph C. Dylkes is now almost affectionately known as the Leatherwood God. His ghost reportedly haunts the Salesville area, occasionally appearing as a misty figure in a white robe. The origin of Salesville’s town name seems to be a mystery. It was platted in 1835 on Clay Pike by George Brill (1776 – 1860), who moved to Ohio from Bucks County, Pennsylvania. Researching the genealogy on his family hasn’t been easy to sort out. George had at least one wife, Mary Kagg Brill (1781 – 1859) & somewhere between 10 & 20 children. The town plats were quickly bought up & attracted new businesses. A Methodist church was built in 1840 to replace the aging temple. In 1855 Salesville got a train station on the B & O Railroad & the post office opened that same year. By 1870 the town had a hotel, grist & saw mill, a few grocery, dry goods, & hardware stores, a school, physician, & a blacksmith. In 1873 the Methodists built another new church which still stands at the intersection of SR 265 & SR 761. Salesville’s population peaked around 1880 with nearly 300 residents. It began to decline over the next few decades & the town didn’t get any major businesses in the 1900s to support new growth. Salesville lost its post office in 2002. The population in 2012 was about 130. School #1 & school #2, both closed now, sit next to each other on SR 265 in town. George Brill was buried with many of his family members in Salesville Hill United Brethren Cemetery on Elegy Lane on the north side of town. Some of the other early settlers & residents were buried in Leatherwood Cemetery on Frankfort Rd, north of Salesville off of SR 265.